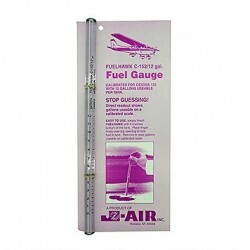 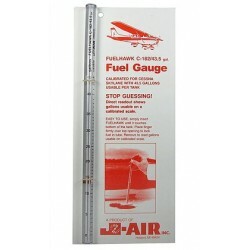 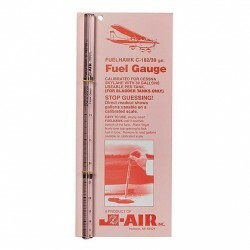 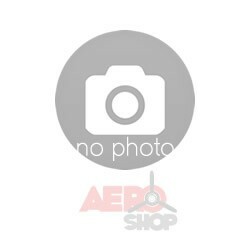 The Fuelhawk 11" Universal Aircraft Fuel Gauge can be calibrated for use in any aircraft. 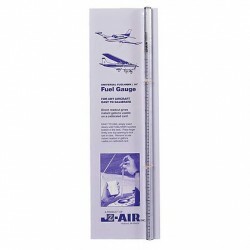 It works just like the 16" and 26" Universal gauges. 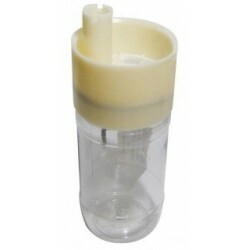 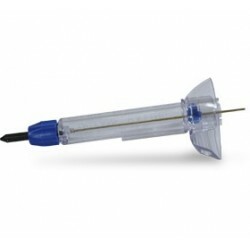 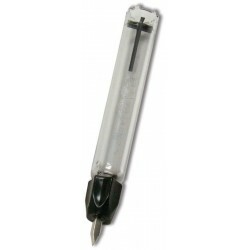 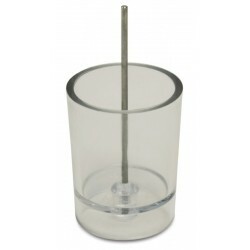 Made of heavy, clear plastic and easy to use. 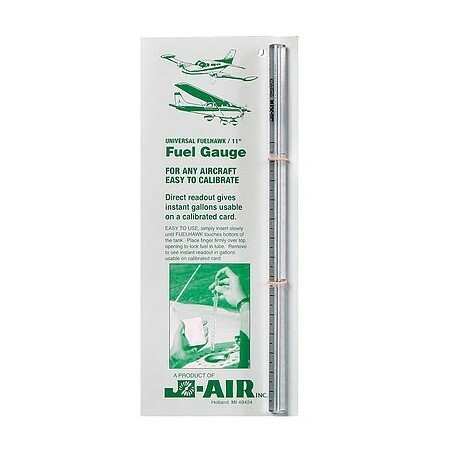 Simply insert the Fuelhawk until it touches the bottom of the tank. 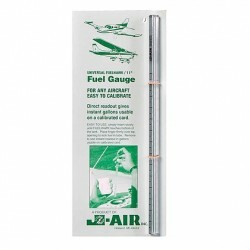 Then place your finger firmly over the top of the opening to lock fuel in the tube. 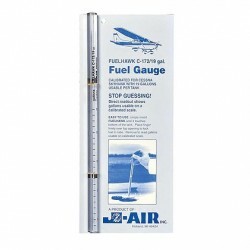 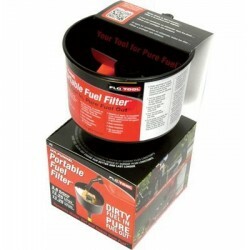 Remove and instantly see a readout in U.S. gallons of usable fuel on a calibrated scale card. 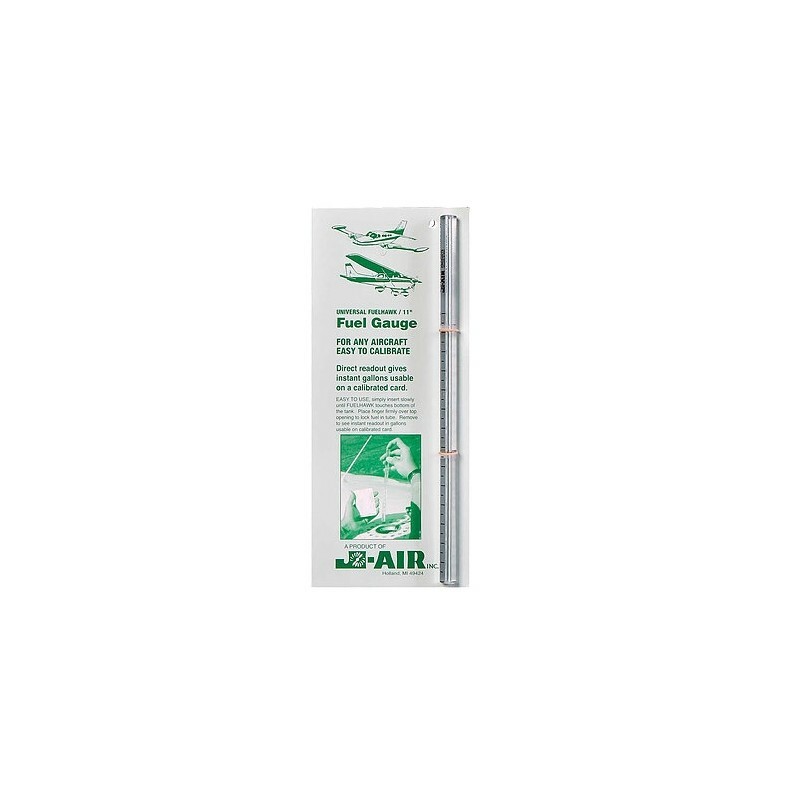 (For use in both main and auxiliary tanks.). 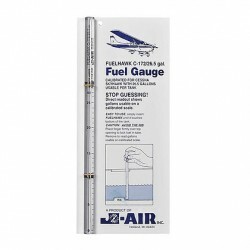 The Fuelhawk is ideal for when the pilot must take a less-than-full fuel load due to weight considerations or measuring how much is really in the tank.